Healthcare is on a lot of people’s’ minds at the moment, with President Trump planning on removing the Affordable Care Act and our aging population. The baby boomer generation, those born between 1946 and 1964, are finally starting to retire. This generation alone makes up nearly 20% of the American population. With the country getting older we’ll need more people to take care of them, and people to oversee these operations. The money proves it too – the healthcare industry accounted for 17.7% of American GDP in 2013, according to a study by Deloitte. So what’s it like to work in the healthcare industry? What can you expect in terms of salary? We looked through the numbers and found the answers you want. Depending on what you do within the industry, you could expect a large cash bonus. In fact, 3 out of the top 10 jobs for highest average cash bonuses were in the healthcare field, according to a study by LinkedIn. 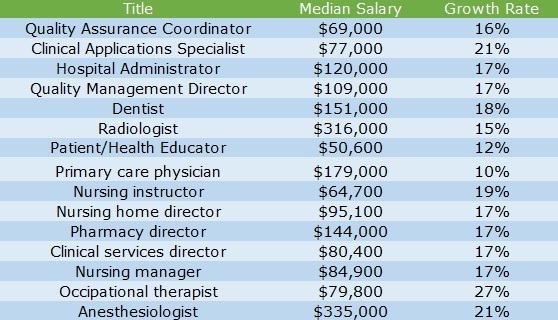 The healthcare industry ranks 7th for highest average bonuses, with $5,500 a year. Energy and Mining ranked 1st, with an average of $10,00 a year. Salaries for registered nurses fell between 2015 and 2014, roughly $2000 on average. This may be a reflection of employment status though – nurses working full time reported less money per hour than part time nurses. A registered nurse’s salary will also increase with education – an associate’s degree will earn you $71,000 but increase to $79,000 once you complete a bachelor’s degree. This jumps to $90,000 with a doctorate, but requires a lot more education – completing a four year degree and then achieving a doctorate may be more time than you’re willing to commit. 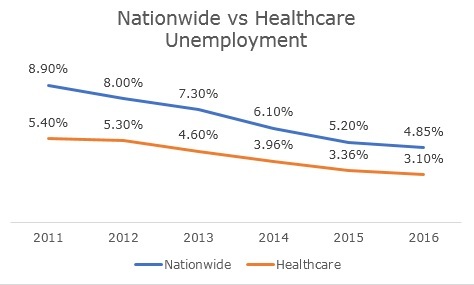 Even during times of large unemployment, the healthcare industry unemployment rate remained relatively low. It makes sense intuitively too – regardless of how the economy is doing, people will always require medical attention. The healthcare industry is the fastest growing sector of the economy, estimated to grow 19% between now and 2024. This is an estimated 2.3 million new jobs. This high growth rate can be seen as a combination of America’s aging population, as well as the Affordable Care Act making healthcare more available. This could potentially change under a Trump presidency though. Many employees in the healthcare industry actually enjoy their jobs quite a bit. CNN Money released an article that ranked the top 100 jobs in the United States, based on median salary, career satisfaction, and job growth. Healthcare positions held 15 spots on the list, including 3 in the top 10. 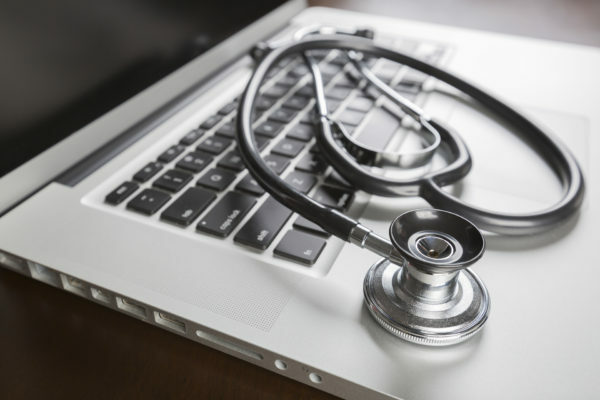 Although healthcare may be stressful at times, many find the position very rewarding, and find the variety of tasks a good way to avoid the monotony of other potential careers. Check out the 15 jobs that made the list below, along with their pay and growth rates. Not sold on Healthcare? Check out our other guides on data-driven jobs – Marketing, Accounting, and Finance.